1, Iron Dextran,Prevention and treatment of iron deficiency anemia. 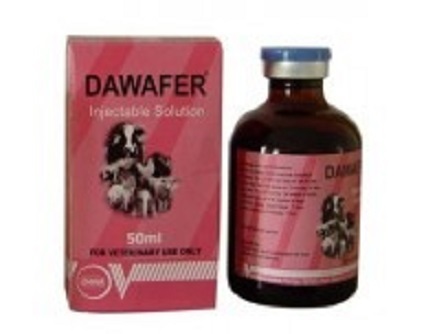 2,It has a good effect on preventing and treating iron-deficiency anemia in baby piglets, and promoting its growth. 3,This product is also effective on grown-up animals such as pig, foal, calf, dog, almb and etc. Veterinary Antibiotic Drug. For the preventing and treatment of iron deficiency anemia including neonatal anemia in pig, foal, calf, dog, lamb and enhances immunity. (1) It increases the baby pigs survival rate and enhances the ability of fighting against disease and relieves stress, prevent White Muscle Disease. (2) It treats the postpartum anemia, operation anemia, parasite anemia and nutrition. (3) It has good effect on preventing and curing iron-deficiency anemia in baby pig, then promoting its growth. Administrated by deep intramuscular injection. Dosages per time for piglets are100-200mg, for calves 200-600mg, for baby dogs are 20-200mg. STORAGE: Store in cool place and avoid exposure of direct sunlight. Looking for ideal Iron Ferrum Dextran Veterinary Injection Manufacturer & supplier ? We have a wide selection at great prices to help you get creative. All the Veterinary Iron Ferrum Dextran are quality guaranteed. 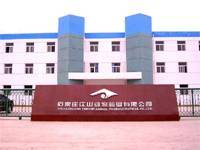 We are China Origin Factory of Prevention Iron Deficiency Anemia. If you have any question, please feel free to contact us.